A vehicle is a great source of pride for most people, whether new or used. Cars are a big investment, and you want to keep yours running smoothly for as long as possible. At CarMark Hawaii, we buy used cars for cash – and we know all about vehicles. Here are a few tips that will help reduce the wear and tear on your car. Try to avoid short trips when possible. If your destination is within walking or biking distance, consider leaving the car at home. Trips that are shorter than 10 minutes can result in added stress on your vehicle, because the engine doesn’t get a chance to fully warm up. This can result in rust, because water caused by engine combustion isn’t expunged if it doesn’t have time to turn to vapor. Treat your vehicle like a baby. Be gentle! Don’t punch the accelerator or stomp on the brakes. Accelerate gently until you reach your desired speed, and anticipate when you’re going to slow or stop so you can begin braking gradually. Revving the engine to warm your car up is also a bad idea – in cold weather, start your vehicle and let it idle for a few minutes to warm up. Remove extra weight. Excess weight can make your engine work harder, drag you down, and affect your gas mileage. If you’ve been hauling around your bowling ball and soccer equipment in the trunk or back of your SUV for months without really using it, take it out. Remove bug shields, roof racks, or anything that affects aerodynamics and drags your vehicle down, which in turn causes your engine to work harder. Change your car’s fluids regularly. Even if you don’t drive often, having the brake and steering fluids, transmission fluid, antifreeze, and oil checked and replaced regularly is important. 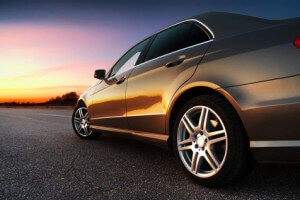 Why have the fluids changed if your car sits in the driveway most of the time? Because over time, they degrade. Having your fluids changed on schedule is the most important thing you can do to keep your vehicle in good shape for years. Keep an eye on your dash gauges. When the oil light, check engine light, or other warning lights come on, there is usually a reason. Don’t ignore these warning signs, and have it checked out immediately. Of course the number one thing you can do to keep your car in like-new condition is not to drive it, but that’s difficult for most of us. However, you can cut down on unnecessary trips such as driving to the convenience store two blocks down from the house. Be sensible, and enjoy your car for as long as you decide to keep it. Ready to sell your used car for cash? At CarMark Hawaii, buying used cars for cash in Honolulu is what we do. With more than 25 years as a used car buyer, you can trust us for a fair deal! Give us a call today.